PETALING JAYA: The high cost of a property and the relative prestige of the neighbourhood are only two of the factors that define the best places to live for the super-rich. Depending on personal priorities, elite property buyers will consider a combination of factors when deciding on the best home for themselves or investment. And for the ambitious, there are newer residential enclaves to consider. 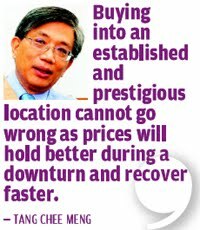 According to Henry Butcher Marketing Sdn Bhd chief operating officer Tang Chee Meng, the preferred residential locations in the Klang Valley still relate to well-established and high-priced real estate, namely Damansara Heights, Bukit Tunku/Taman Duta, KLCC, Ampang Hilir/U Thant, Bangsar, and Mont'Kiara. “Besides pricing, I would consider other factors such as quality of the residential environment, security of the neighbourhood and availability of amenities such as schools, shops, eateries and entertainment outlets as well as accessibility,” pointed out Tang, who has been in the real estate business since 1979. “The areas mentioned are prestigious locations which have snob appeal,” said the veteran consultant, who himself lives in Damansara Heights. Is it too expensive now to buy properties in areas like Bukit Tunku, Damansara Heights or even Bangsar? “Well-heeled locals are still keen on properties in these areas. They are prestigious addresses which command good rentals and enjoy strong potential for capital appreciation due to the scarcity of land for the development of new homes. However, living in an elitist neighbourhood is not without its share of negative factors. For one thing, the residents here are mainly well-connected and powerful personalities. Some would not hesitate to be litigious should their property rights be infringed by neighbours, whether knowingly or unknowingly. 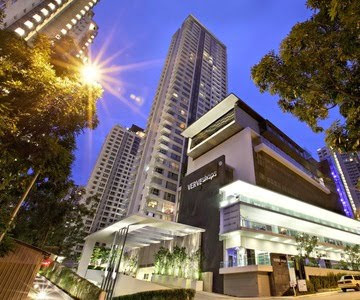 Newer residential enclaves such as Mont'Kiara are viewed by certain property investors and agents as being “over-developed”. Despite that, their prices keep going up. “People have been talking about an oversupply situation in Mont'Kiara for years but new projects have continued to enjoy a good take-up rate in terms of sales. 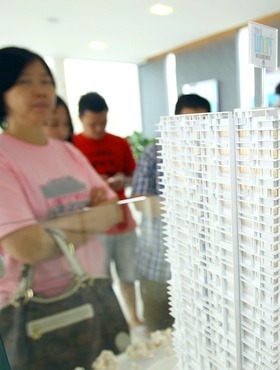 This is due to the perception that Mont'Kiara properties enjoy good capital appreciation. And units can easily be rented out due to its popularity with the expatriate community. “However, with recent project launches which have large units and are priced at around the RM1,000 per sq ft threshold sales have been sluggish. Apparently, it may take some time for the market to “digest” such units available, provided economic factors remain stable and government regulations do not affect demand adversely. And for those with not-so-deep pockets, Tang who has witnessed his fair share of property ups and downs in the market picked certain upcoming and promising residential areas as having high potential for property investment. The “good” areas include Setia Ecopark, Bandar Utama-Mutiara Damansara-Desa ParkCity residential belt and Kemensah Heights. Similar positive factors also apply to other established residential developments in Tropicana in Petaling Jaya, Sierramas in Sungai Buloh and Country Heights in Kajang. “Buying into an established and prestigious location cannot go wrong as prices will hold better during a downturn and recover faster,” advised Tang. For more of this story, including a table of comparison on the preferred residential locations, log on to StarProperty.my. Luxurious: The Verve Suites serviced apartments development by Bukit Kiara Properties. STANDING amid a well-manicured lawn and sipping cocktails under the stars while listening to jazzy tunes, the small gathering of people might feel they were at a resort. Well, a resort it is not, but it is an oasis in the midst of the urban hustle and bustle of Mont’ Kiara. The little party of guests would tend to agree that Bukit Kiara Properties had accomplished its mission of creating a stylish space for the contemporary lifestyle of professionals. The first two towers, sporting the Vertigo and the Hypercubes concepts, were completed in 2009 and 2010 respectively. They have been handed over to the homeowners and are now occupied. Vogue, the reason for the cocktail do, will be handed over in early 2012. The showpiece for this tower’s Concentrico living concept, named after the concentric circles of a tree trunk, is set out on the 31st floor. It was also where dinner was served for the guests invited to “experience” the showpiece. The top layer is formed by 52 Leopard Trees, the second layer consists of 80 tree ferns and 45 wild water plums, while the last layer is made up of 20 species of low shrubs and ground covers. The amount of soil used for this “jungle in the sky” could fill 75 six-tonne lorries. At the far corners of this sky lounge, which has a built-up of 6,240sq ft, are platforms called Podium Panorama furnished with hammocks for residents to chill, shoot the breeze or just enjoy the vista. There is also an open-air theatrette, whimsically named Cinema Paradiso, a mere stroll away. 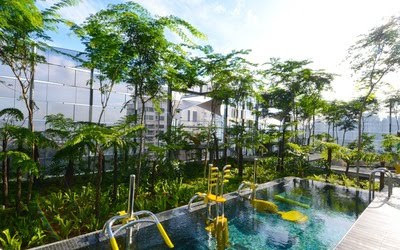 As if all these are not impressive enough, the designers have achieved a coup of sort by setting up a hydro-gym, the first in a high-rise residential property in Malaysia. The gym equipment were specially sourced and imported from the UK. The whole of Vogue Tower has 255 fully furnished one- and two-bedroom suites ranging from 462 to 926sq ft. Residents have access to all sky lounges in the Verve Suites, including that in the upcoming tower. The Vertigo sky lounge houses foosball and pool tables, jacuzzi and sauna among other things while Hypercubes features a spa. The final block, known as Vox Tower and near sold out, is expected to be completed in 2014. It will have 250 units of 462sq ft to 1,394sq ft, the largest of which will consist of three bedrooms. Sitting atop them, on the 34th floor, will be a — believe it or not — sky beach! A PRE-launch ceremony for the Se terra — boutique homes — and a Night of Appreciation was recently held to thank associates, consultants, bankers and lawyers for its success. Hosted by property developer Briswood Sdn Bhd, more than 100 guests attended the occasion, which was held at its showroom located along Jalan Masjid in Kayu Ara, Petaling Jaya. Se terra promises a breathtaking landscape, which is one of its unique selling point. Sprawled over 0.6ha of land, Se terra consists of low-density leasehold condominiums designed to provide a secured living set in natural surroundings. 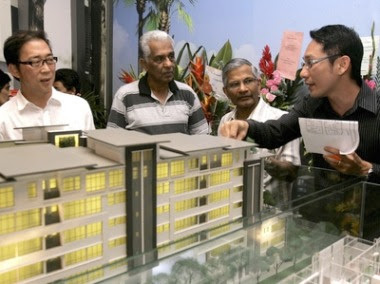 Informative: Briswood Sdn Bhd managing director Datuk Kee Cheng Teik (left) talking to potential buyers at Se terra’s pre-launch ceremony. The living space per unit ranges from 1,813 sq ft to 3,778 sq ft.
Each unit (standard and duplex) has a private lift lobby with the living and dining spaces opening onto a balcony that oversees a beautiful landscape. The double kitchen area is made for families to spend quality time during mealtimes or for those who love to cook. One need not incur additional costs for an expensive kitchen cabinet as each unit comes with a fully outfitted kitchen. Comfortable abode: A place for play and study in the children’s bedroom. Each unit has four bedrooms — a master bedroom, children’s room, guestroom and maid’s room. Every bedroom has an attached bathroom with modern fixtures. The duplex units, which is 3,568 sq ft in size, offers space across two levels. Perched above are the 5,744 sq ft penthouse units. The entrance leads you to the centre of the penthouse with a living room for unwinding or entertaining, while the dining area overlooks an outdoor garden with water features. The development is equipped with facilities such as an infinity pool, wading pool, barbeque area, an outdoor gymnasium, children’s playground, a multipurpose hall, parking bays and utility storage areas. Se terra is located within Bandar Utama with access to Damansara-Puchong, NKVE and Sprint highways. It is close to 1Utama, Centrepoint, Tropicana City Mall, The Curve, Ikea and Ikano Power Centre. For those who to love golf, Bandar Utama Golf Course and the Tropicana Golf and Country Club are also nearby. The smallest unit is priced at RM1.3mil, while units from 3,778 sq ft onwards is priced at RM2mil and above. Se terra is designed by HMSK Architecture. The project is expected to be completed by 2013. TAMAN Tasik Prima in Puchong will soon become a lively place when The Wharf Residence makes its debut soon. The residences which comprises of three blocks of waterfront apartments by Bolton Berhad is located on a 6.07ha tract as part of the area’s development plans. The project has a mix of residential and commercial developments. Smart offerings: The public taking a closer look at The Wharf Residence. “The first is the The Wharf Residence comprises three blocks of high-rise towers featuring 1,002 high end apartment units overlooking Tasik Prima, followed by the integrated three-in-one development which has boutique showroom offices, flexi suites a retail mall,” said Bolton Berhad executive director Chan Wing Kwong during the launch of Tower 8 — the first of the three The Wharf Residence’s towers. The tower features 334 units with a built-up area ranging from 795 sq ft to 1,173 sq ft.
With a starting price of RM275,130, The Wharf Residence also provides owners with facilities such as swimming pools, a gymnasium, a playground, a yoga zone, a jogging track and a garden. Chan said a unique feature of the apartment units was the introduction of an external storage room on each floor. 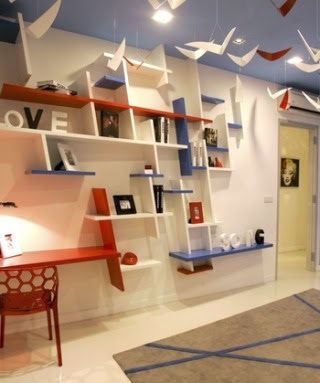 “There is one storage room for every unit which you can turn it into a store room,” he added. Check it out: Bolton Bhd sales general manager Pamela Tan pointing to the available units for the Wharf Residence. Besides the apartment units, the public also had a sneak peek into the BizWalk comprising 32 units of three-storey boutique showroom offices. The offices were launched in August last year and had sold out since. However, Chan said Bolton plans to follow-up the success with the launch of specially-designed flexi suites, a two-in-one commercial offering. “The flexi suites can be used as an office and a residential space as well. “You can stay in one and operate your office in the other or you can even rent it out,” said Chan. As for the retail mall, it has a gross floor area of 506,510 sq ft and some 1,296 parking bays. When completed, the mall will also see a link bridge from the apartment blocks. Chan also shared that the mall will also be incorporating green features such as using less energy, less treated water, thus reducing chemical footprint in general. The Wharf Residence show unit at the Bolton Studio sales gallery in Taman Tasik Prima Puchong is open seven days a week between 9am and 6pm. For details, call 03-7844 6333/8068 4030. KUALA LUMPUR: Dijaya Corp Bhd registered a 28.2% increase in revenue to RM89.2mil for its third quarter ended Sept 30, 2011 from RM62.2mil in the previous corresponding period. The company attributed this to the strong sales performance and recognition of progress billings from its project launches. “The increase in revenue and improvement in operational results was mainly due to higher profit margin contributions from its new property launches such as Tropicana Grande golf-fronted condominiums and Casa Tropicana final Block E condominium at Tropicana Golf & Country Resort as well as villas at Tropicana Indah Resort Homes,” it said in a statement Bursa Malaysia. Due to accounting standards, Dijaya has also made a fair value adjustment on marketable securities of RM22.3mil which had caused it to record a technical net loss of RM12.84mil. Excluding this fair value adjustment, Dijaya had registered an adjusted profit after tax and minority interest (Patmi) of RM9.5mil from RM5.6mil previously. Meanwhile, year-to-date revenue rose by 14.3% to RM217.5mil from RM190.3mil before. The year-to-date Patmi was RM26.1mil, which represented a RM17.4mil increase from the previous corresponding period’s RM8.7mil. Dijaya’s CEO Tan Sri Danny Tan Chee Sing expects the company to continue posting improved numbers moving forward based on the current set of results and the good location of the company’s current and upcoming new developments. “Dijaya now owns sizeable land bank worth RM28bil in GDV spread across the main cities in Peninsular Malaysia to be launched in the near future. Dijaya now has its footprint in central, southern and northern regions, which are the major property development area. 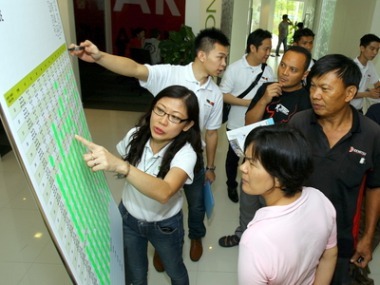 With all these projects in the pipeline, we are poised for growth,” Tan said. Nobody’s home: An abandoned unit covered with thick undergrowth next to an occupied residential unit in the Rasah Kemayan township. 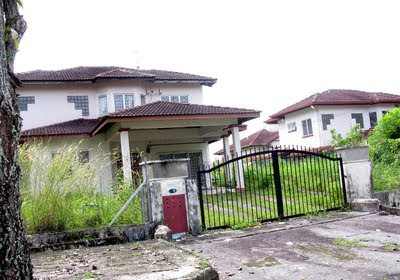 The Rasah Kemayan (RK) housing estate has now become a ghost town with more than 200 bungalows left abandoned, some with real estate banners hanging over the gates for years while others are slowly being swallowed by thick undergrowth. All the bungalows come with huge compounds and some have been renovated extensively into large mansions. Retiree Luciano Charles De Silva said there were many bungalows, bought by speculators were now not cared for or maintained. “Some are well-maintained but have been unoccupied for years,’’ said De Silva, who bought a bungalow because of its strategic location and the Rasah Kemayan golf course. The housing estate’s proximity to KLIA and talks that a new highway to be built to link to the airport were another reason why many opted to buy their retirement homes here. “However, now with another new town, Bandar Sri Sendayan near Rasah Kemayan would turn this once quiet and peaceful residential housing area into a ghost town. “More houses are being vacated and people moving out recently for better homes in other well-planned townships,’’ said De Silva. He said the thick undergrowth had become a home for snakes, monitor lizards and rodents. And due to the large number of abandoned houses, security has also become a problem with increasing number of thefts. The residents once pooled their resources to build a two-storey guardhouse at a cost of RM15,000 in view of the increasing number of thefts and burglaries and to help control traffic in the residential area. However, the guardhouse is also abandoned and there is no control over traffic movement into the area. Kuala Lumpur: Property developer SP Setia Bhd rebuffed claims that it has agreed terms with Irish group Real Estate Opportunities to take control of London’s landmark Battersea Power Station and fund a RM27.2 billion redevelopment of the site. It said the lenders to the site, Lloyds Banking Group plc and the National Asset Management Agency, did not intend to engage further on its preliminary offer in a letter dated November 23 this year. SP Setia, however, said it “still firmly believes that property development prospects in London are positive”. “Accordingly, the group will continue to look out for and assess other possibilities to invest, via strategic partnerships and landbanking opportunities,in this exciting market,” it said in a reply to a Bursa Malaysia query yesterday. PETALING JAYA: SP Setia Bhd confirmed that it was in talks with Irish group Real Estate Opportunities (REO) to acquire a stake in the redevelopment of the Battersea Power Station in south London but the deal had fallen through as the creditors of REO had rejected its preliminary offer. In an announcement to Bursa Malaysia yesterday, SP Setia said the lenders, Lloyds Banking Group Plc (Lloyds) and the National Asset Management Agency (NAMA), had in a letter dated Nov 23, informed SP Setia that they did not intend to engage further on SP Setia's preliminary offer. The property group said it had on Nov 18 instructed its investment adviser to submit a conditional non-binding preliminary offer to acquire from Lloyds and NAMA, the senior debt facilities and the swap exposure and other related claims in the Battersea Power Station site and its holding company for 262mil (RM1.3bil). “The preliminary offer was conditional upon satisfactory results from a technical, environmental, financial, corporate, tax and legal due diligence exercise to be carried out on the opportunity, and results of the detailed due diligence being presented to SP Setia's board and shareholders for approval,” it added. SP Setia said its preliminary offer was made in the ordinary course of the group's activities to always seek out good opportunities in both local and selected international markets to expand its operations. An official from SP Setia told StarBiz that the group had decided not to pursue the deal or make another offer. Despite the deal having fallen through, SP Setia said it still believed that property development prospects in London were positive and would continue to look out and assess other possibilities to invest via strategic partnerships and landbanking opportunities there. An analyst with a bank-backed brokerage said the redevelopment of the Battersea power station would continue to be challenging given the need to set aside funds to conserve the derelict power station. “There is a plan to link the site to the London Underground station, of which REO must agree on a 600mil financing terms. It is not certain whether the funding for the London Underground station has been sorted out. “Plus the presence of a waste transfer station and a cement plant on the river frontage would make the development even more challenging,” he added. Another analyst said if SP Setia had clinched the deal, it would be a shot in the arm for the group to take its brand to the global market. “The location of the site in the border of London's Zone 1 and Zone 2 is strategic, given that London is still attracting massive foreign funds to invest in its real estate market.” The analyst said SP Setia could still shop around for other development opportunities in London. Its healthy financial position with a net gearing ratio of only 0.2 times would afford it the opportunity to leverage on more bank borrowings for its expansion to the United Kingdom, he added.